Red is the acronym of love and rightly so because no other colour express this feeling better than Red. 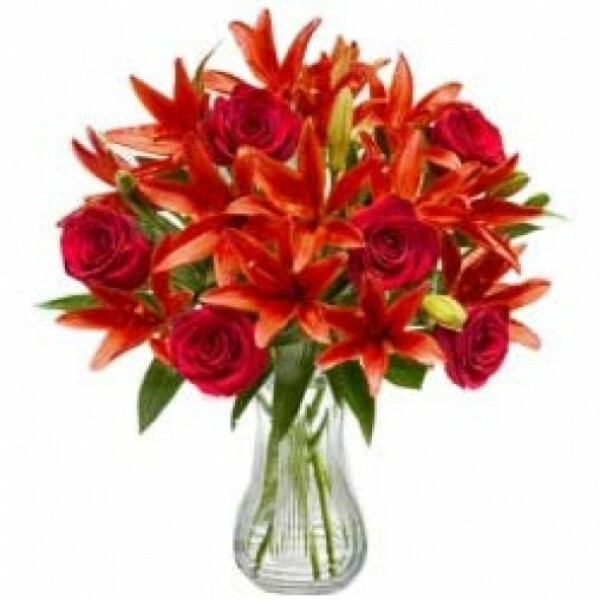 If you want someone to feel loved, gift them this Bunch of 7 Red Asiatic Lilies and 12 Red Roses. These flowers will do the magic. Copyright © 2009-2019, MyFlowerTree.com, All Rights Reserved.